In modern times, few people are walking around without a smartphone on their person. While technological innovations are always appreciated by companies like RS, it’s worth considering how smart tech has redefined how people live their lives on a daily basis. After all, screen time is a constant worry for people, but smart technologies are becoming more and more popular all the same. Seemingly nothing can stop the onslaught of new tech that regularly gets released, especially when it comes to more user-friendly devices. Consequently, it’s worth asking the question; how smart technologies are slowly adapting to take a larger role in our lives. Smartphones are a point of popularity in the world today. Over 95% of Americans now own a cell phone of some kind with 77% being smartphones. In most other countries you’d be hard-pressed to find someone who doesn’t own one – particularly in the younger generations. People never tire of these devices because they’re constantly updated with fresh materials; new iterations, software upgrades, new apps, updates for these apps, and so forth. These technologies have adapted to take larger roles in our lives because they are tailored to each user and have a constant influx of updates and upgrades. Every app comes with feedback comments and rating systems, meaning that these kinds of devices are here to stay for the long haul largely by user demand. Of course, it’s not just the latest smartphone iterations and updates that keep users coming back for more. Notifications are undoubtedly a big part of why smartphones are at the forefront of public consciousness. Every message, mention, update, breaking news story, or email comes with its own little pop-up notification on the phone, whether it’s in standby mode or in current use. A sound will often accompany the image, too. Few people filter this relay of information and check their phones with every noise or vibration it makes. Some might say there’s a problem of sorts here in terms of how people check their urges and respond the instant their smartphone demands attention. Still, this is just one of the ways smart technologies has fundamentally changed everyday life. The smart technology arena is considered by many to consist mostly of phones, apps and other such things. However, the innovations have become so dominant that they are now rooted in the very foundations of the home space. Today, many people out there are living in residences known as ‘smart homes’. These living areas feature things like smart meters, which will read the owner’s energy usage and automatically calculate and pay their utility bills on their behalf. Of course, you also get the more well-known smart speakers and televisions, playing music and film after following the user’s vocal instructions. 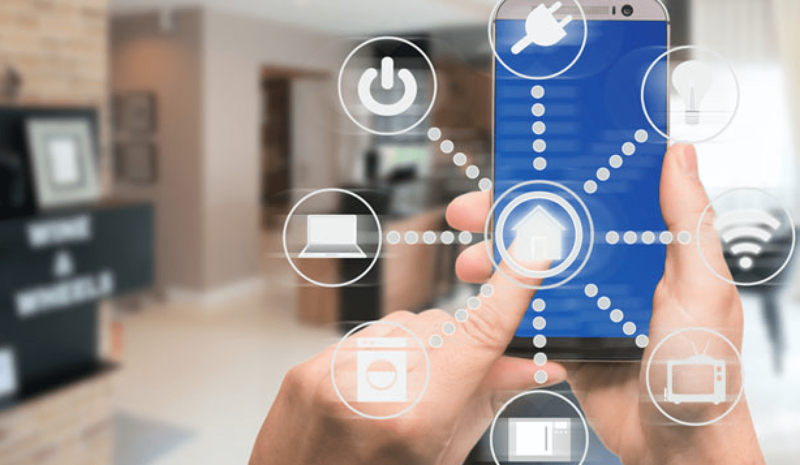 In the end, it’s not just about phones anymore – these devices are in our homes in greater numbers and variations than ever before.